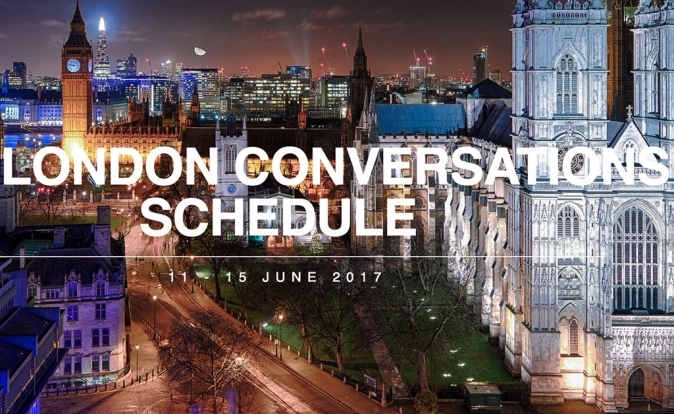 "The London Conversations", a five-day event, is due to take place from June 11th – June 15th where extraordinary people focus on the power of extraordinary relationships. The London Conversations will assemble one of the most diverse groups of corporations and thought leaders, for meaningful conversations looking at the issues facing globally diverse communities particularly in light of the current nationalist and populist movements in the West. Sessions and functions across London will include special receptions, and luncheons at high profile venues across London including, Number 10 Downing Street with the British Prime Minister Theresa May and her guest German Chancellor Angela Merkel, a Royal luncheon at the historic Mansion House and a reception at The Palace of Westminster. Join for the week or choose the day and events that suit you best. The programmes are coordinated by a variety of organisations, including: the Financial Markets Law Committee (a think tank affiliated with the Bank of England), Bloomberg, the SAID Business School of Oxford University, the London Boule, the European Council on Foreign Relations, The Business Council for International Understanding, and others in a cooperation with the Executive Leadership Council.